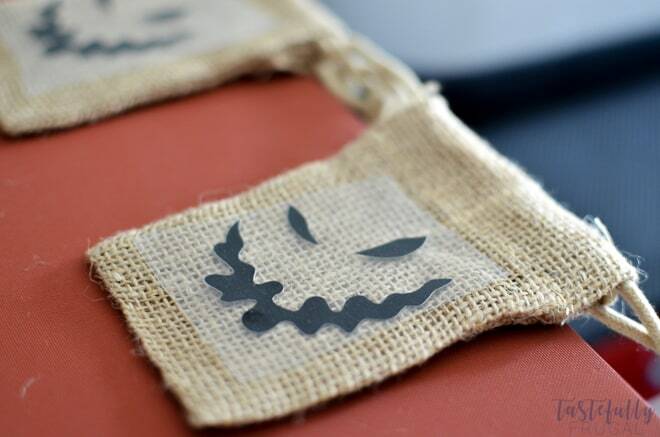 Create these Nightmare Before Christmas inspired party favor bags in less than 15 minutes with your Cricut Explore Air or Maker. AND enter to win the NEW Cricut Maker at the end of this post. Holy canoli how is it already September?! Life has been going a million miles an hour over here and I just realized I never shared with you the DIYs from our Nightmare Before Christmas Party. This is the first of many Halloween posts coming your way soon. And the best part is all of them are super quick and easy to make! 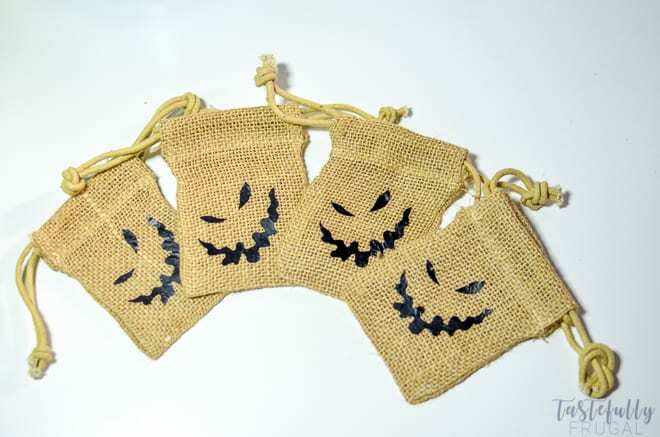 I got the inspiration for these bags from Mr. Oogie Boogie himself and, with help from my Cricut Maker and heat press, I was able to make 10 of these in less than 15 minutes. We used these for both our Nightmare Before Christmas party as well as we are using them for our upcoming Halloween Block Party. I found all the fun goodies to go inside at the Target Dollar Spot and the bags I got on Amazon. Let me show you how easy they are to make! Download your FREE Oogie Boogie PNG here. 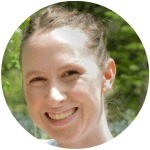 Open Oogie Boogie file in Design Space (this is a great tutorial that shows step by step how to upload images in design space). 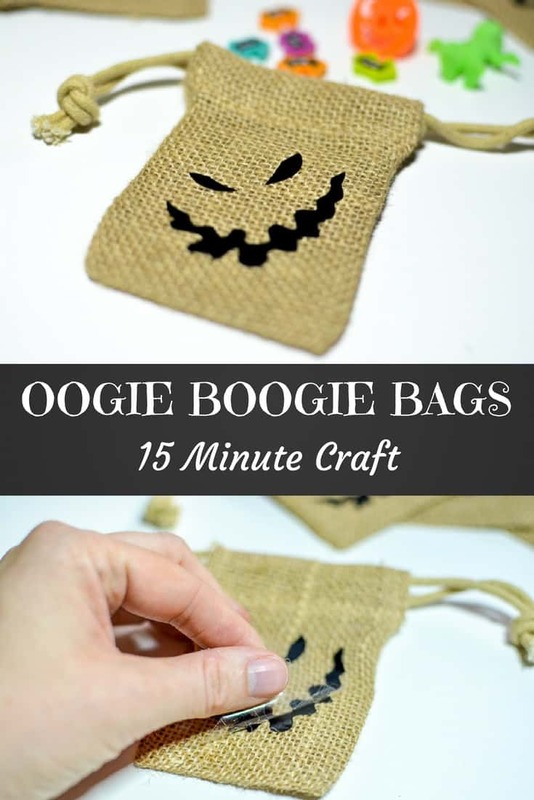 Change the size of your Oogie Boogie face to fit your bags (I made mine 2″ tall). Duplicate design until you have as many faces as you do bags. Load heat transfer vinyl shiny side down on light grip cutting mat and send to cut. Weed excess vinyl from around faces and separate faces (the essential tool kit comes in handy with this). 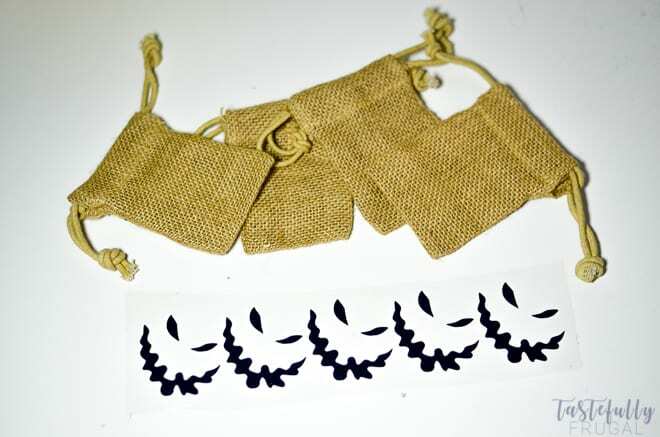 Preheat burlap bags before pressing (either with an iron or heat press for at least 5 seconds). 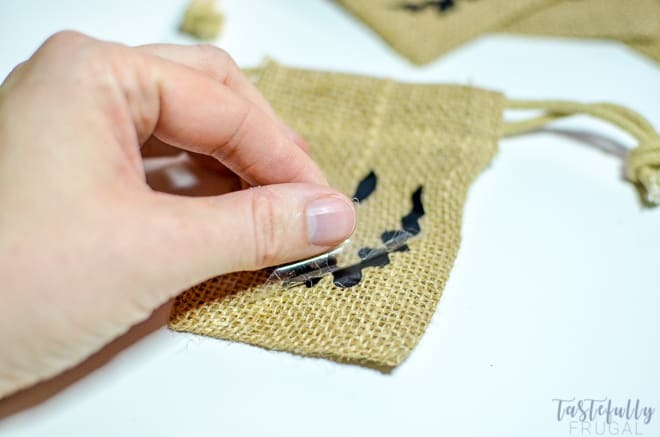 I found through trial and error that you need to press down longer on burlap to get the vinyl to stick. I’ve found that pressing at 275° for 45 seconds gets everything pressed perfectly. Slowly peel plastic backing from the left corner. 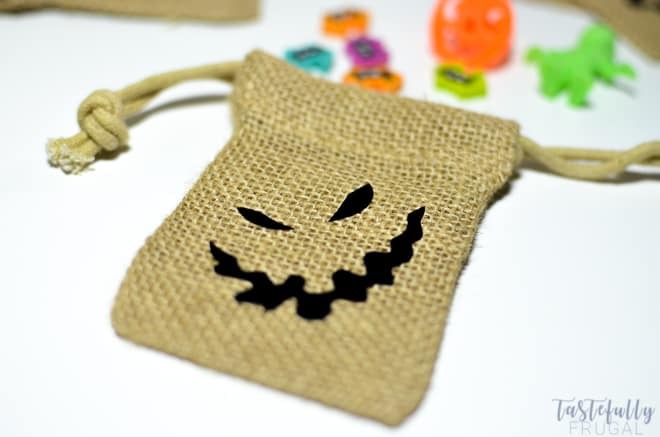 Fill your treat bags with fun treats. Now that you’ve seen how easy these were to make how about more quick and easy Halloween projects?! 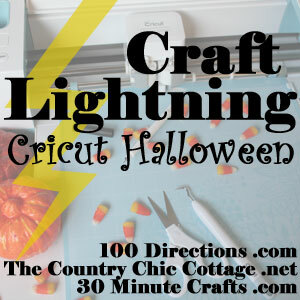 I’m excited to be part of the Craft Lightening 15 Minute Craft Challenge this month where we are giving away the NEW Cricut Maker! Enter through the Rafflecopter below. Those are cute! I am a sucker for burlap! Thanks Angie! I totally am too! These are so simple, and so perfect!! 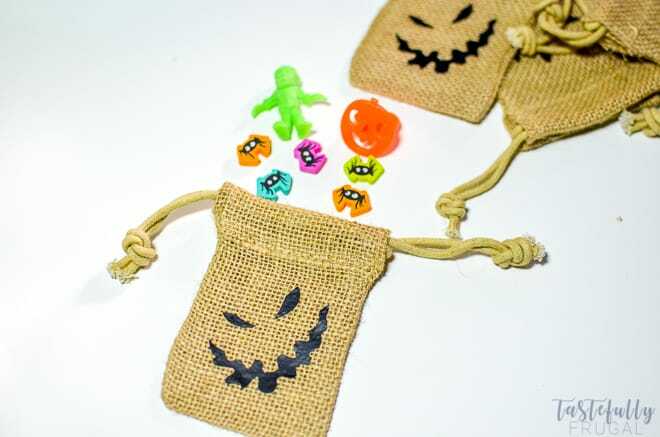 These Oogie bags are really awesome! My daughter would love these! I am gonna try one for her! Awesome Cristina! Let me know what you and your daughter think of them!